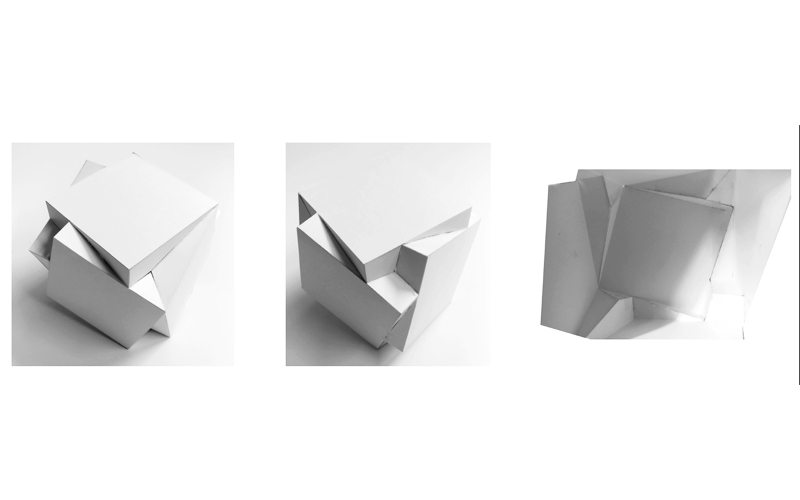 Folding strategies have been widely explored in architecture as a method to generate complex spatial and structural concepts from simple planar surfaces. 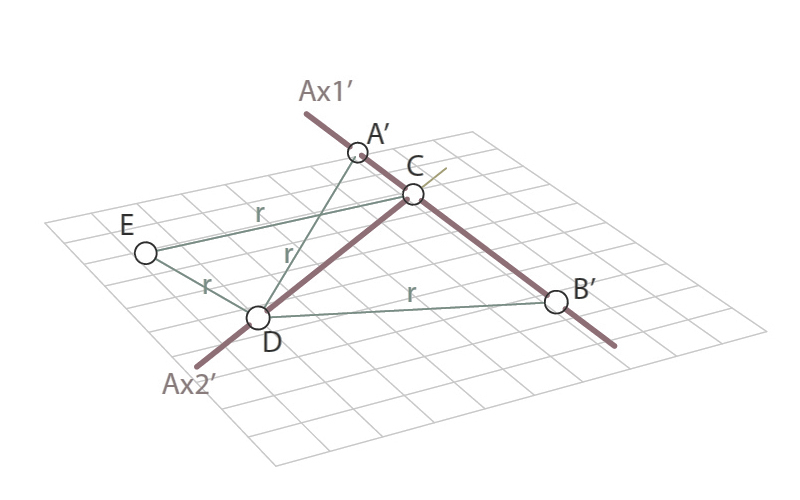 A simple crease along a line or a curve dictates a determined movement for both faces. 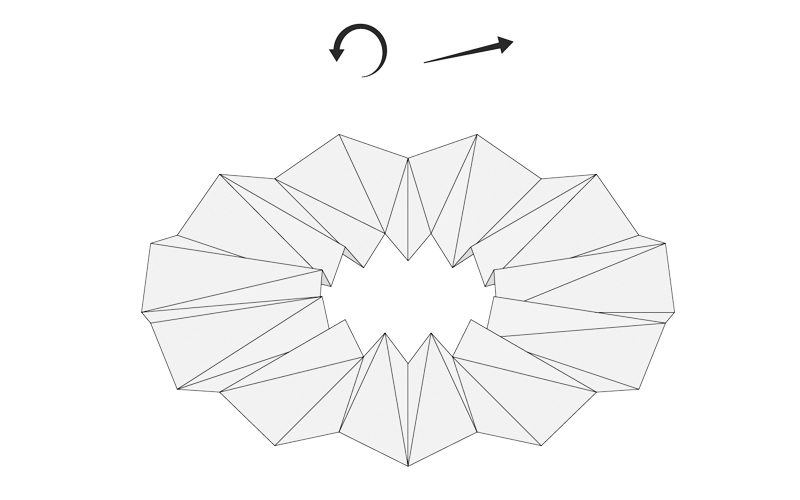 The basic origami folds include valley and mountain folds, pleats, reverse folds, squash folds, and sinks. 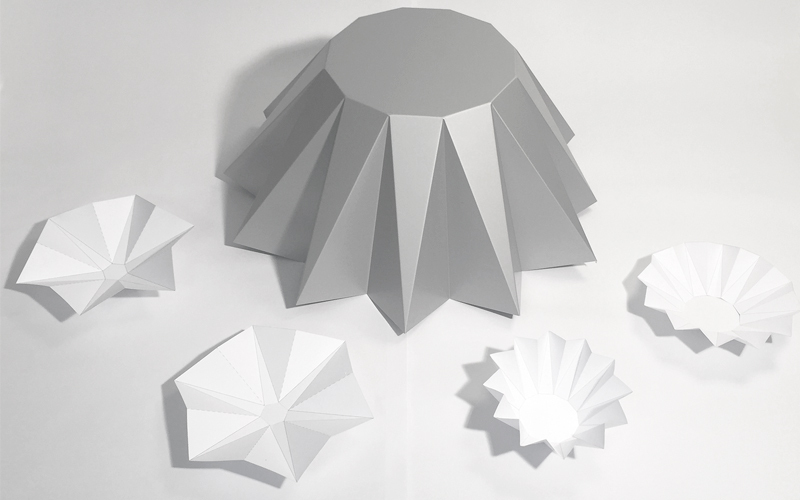 The number of basic folds is small, but they can be combined in a variety of ways to make intricate designs. 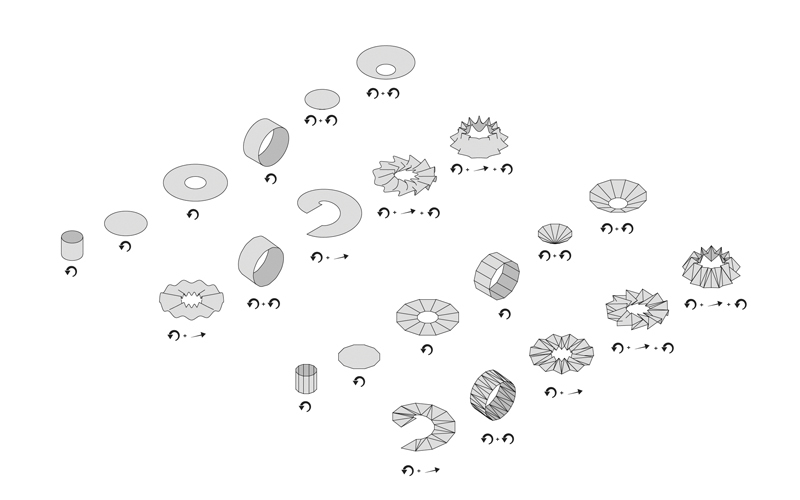 Moreover, they inherit positive structural effects and allow for the creation of multiple pieces from a single folded sheet, which may save material, fabrication time and building costs. 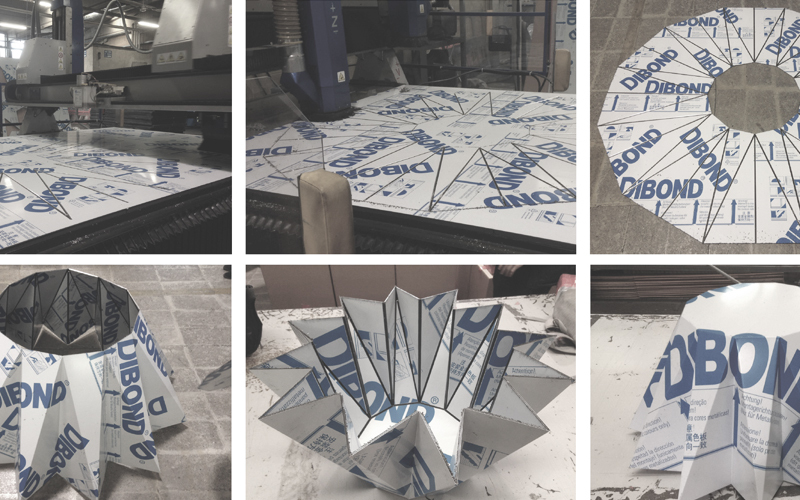 Hence, the ability to create a structural form from thin, flat materials has made folded structures an ideal candidate for lightweight deployable structures in architecture and engineering. 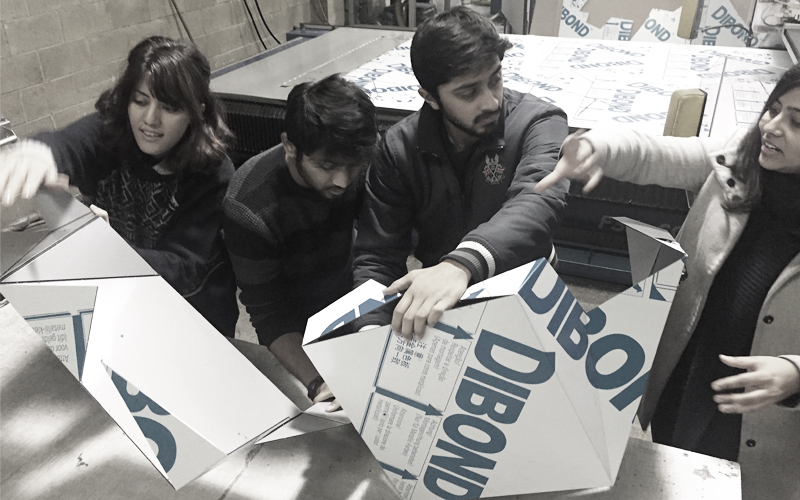 A key aspect of the course was the interplay between design and fabrication. 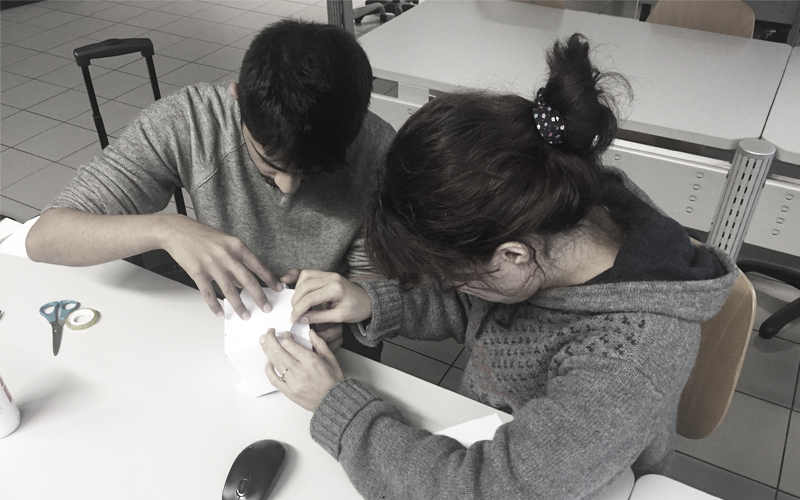 Therefore, prototyping was introduced already at an early design stage in order to verify the constructability of the spatial concepts employed. 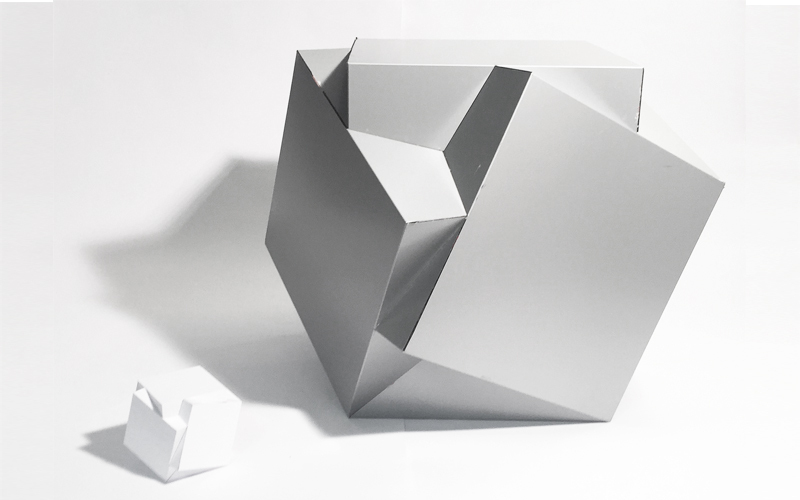 The physical models served, moreover, as a source of inspiration for the further design process and enabled once more the interplay between architecture and mathematics, e.g. 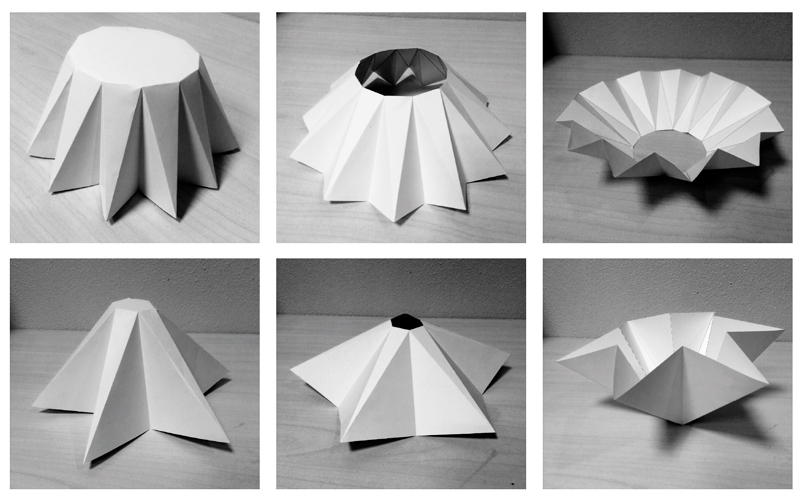 by reflecting on the theory of developable surfaces and origami folding principles. 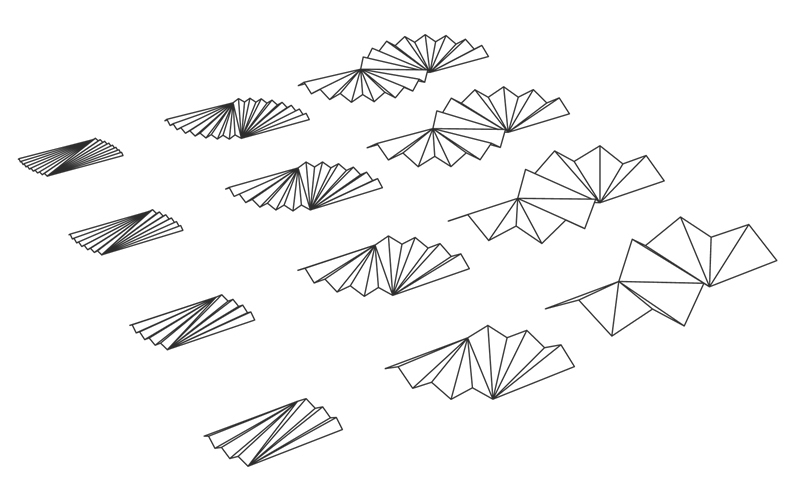 The form-finding process started with research into basic folding principles, both in computational and physical modeling. The individual projects were developed taking a bottom-up approach that allowed for the integration of findings throughout the design process. 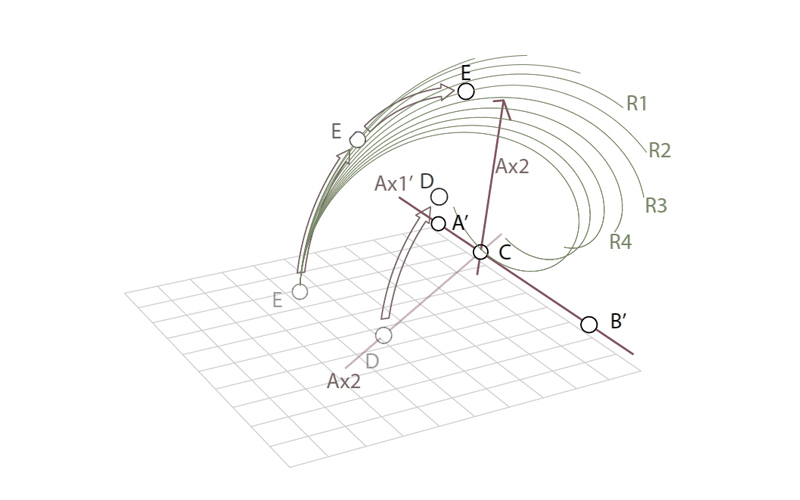 The projects developed from a basic understanding of the underlying mathematical principles towards the application of a computational design strategy that allowed for the generation of variations within the given geometric typology. 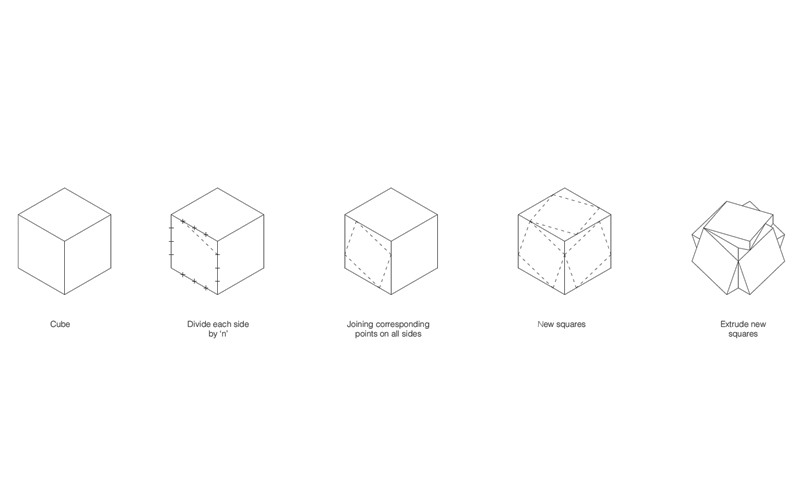 Digital and physical models were developed in parallel to investigate and evaluate the properties, aesthetics, and structural performance of the different concepts. Against this background, the teaching concept focused not so much on the formal results than on the findings that were obtained throughout the research process.